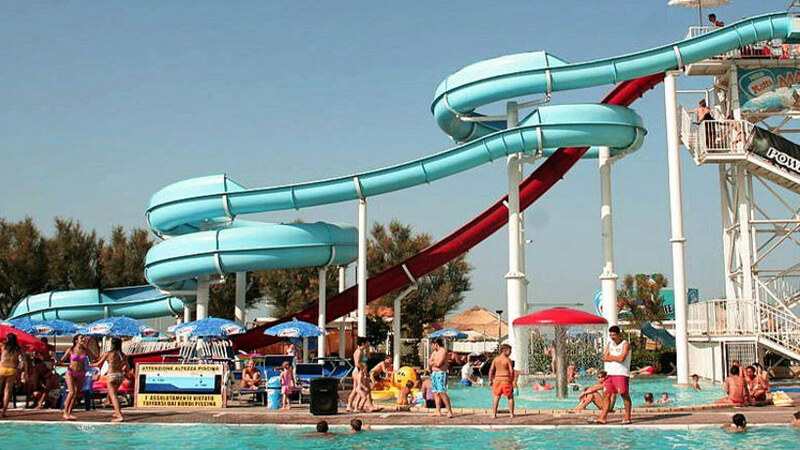 The Beach Village in Riccione opens every year to welcome guests in a fun relaxing environment. It boasts spacious areas with fantastic pools and slides where you can spend some fun pleasant times. There are also many areas for very young children like the “Drawing and Colouring” workshop where children learn while having fun. The park, which covers a surface area of 70 m2, gives young children the chance to use with their imagination to create costumes and shows that are entirely dedicated to our child guests. The area that is dedicated to young children also offers an entertainment service that is run by qualified staff. In addition, a video games area will give you the chance to challenge your friends at exciting games.